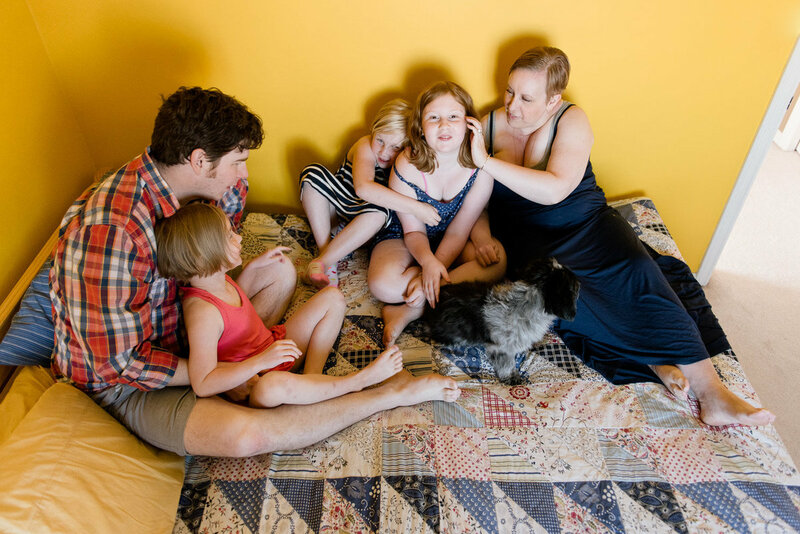 When T emailed me about a family photo session in their Fort Saskatchewan home she mentioned that since becoming a mom she had a zillion photos of her husband and baby and the odd selfie of herself and her son, but no real photos that showed her interaction with her son and husband. You guys….this is right there at the core of my heart as I have been in that situation. I’ve been the one who is always behind the camera, yet is also the one who spends the most time with my kids, so I 100% get it! The more we chatted, the more we decided that a relaxed morning session in their home, just before Christmas, was the way to go. The tree and decorations would be up and they’d spend the morning doing the things that represent this time in their lives – the first winter with a new baby in a home that they so lovingly fixed up and made their own. Little baby Jude was insanely cute with all of his cheek chub and was content to hang with his mom and dad as they made breakfast, played Samurai and sang songs. I hope when he’s a few years older, Jude will be able to look back at these photos and see the adoration his parents have for him and the ease in which they parented him. Below is the slideshow from our morning together followed by a few of my favourite photos from this Fort Saskatchewan family photo session. Want to show your baby what your mornings at home look like? These are the moments he won’t remember but will love seeing when he’s grown. Shoot me a message today and let’s chat about what you don’t want to forget. 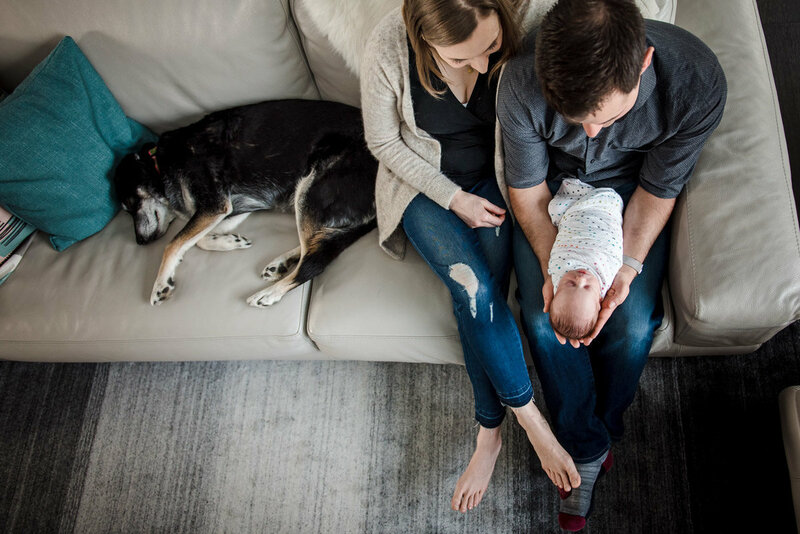 Fiddle Leaf Photography offering casual and relaxed in-home family photo sessions in Fort Saskatchewan, Sherwood Park, St. Alberta, Edmonton and all surrounding areas.